Liverpool have agreed a world record fee of £66.8million with Roma for goalkeeper Alisson. The Reds have been given the green light to hold talks with the Brazil international after increasing their initial offer. Liverpool’s first bid of £62m, which included £53m up front with a further £9m in add-ons, was rejected by the Serie A outfit on Tuesday. However, Reds sporting director Michael Edwards has moved quickly to meet Roma’s valuation of 75m Euros (£66.8m). 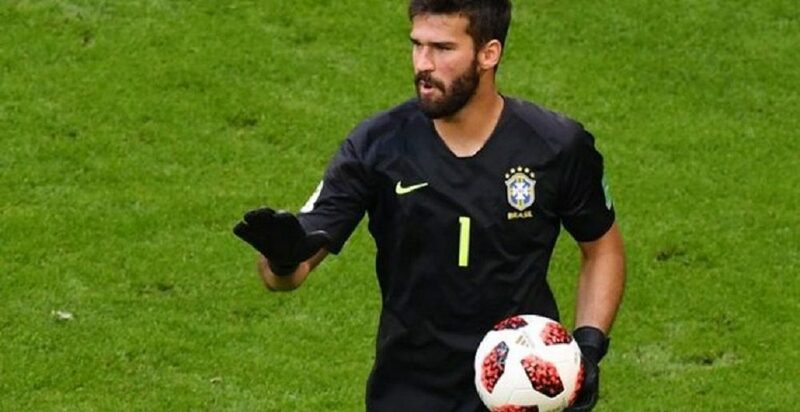 It remains to be seen whether Chelsea, who have also been heavily linked with Alisson, respond with a similar offer. However, Liverpool have stolen a march on the Londoners and are increasingly confident about securing Alisson’s services. He would become the world’s most expensive keeper and solve Jurgen Klopp’s biggest problem ahead of the 2018/19 season. Liverpool have been in the market for a new No 1 since Loris Karius’ disastrous performance in the Champions League final. The Reds initially feared they would miss out on Alisson with Real Madrid seemingly favourites to sign him but the landscape has changed in recent weeks with the Roma No 1 keen on the prospect of moving to Anfield.